Hey guys hope that all is well and okay, sorry that have been a bit MIA this month, what can I say LIFE I guess today I have a review for you. 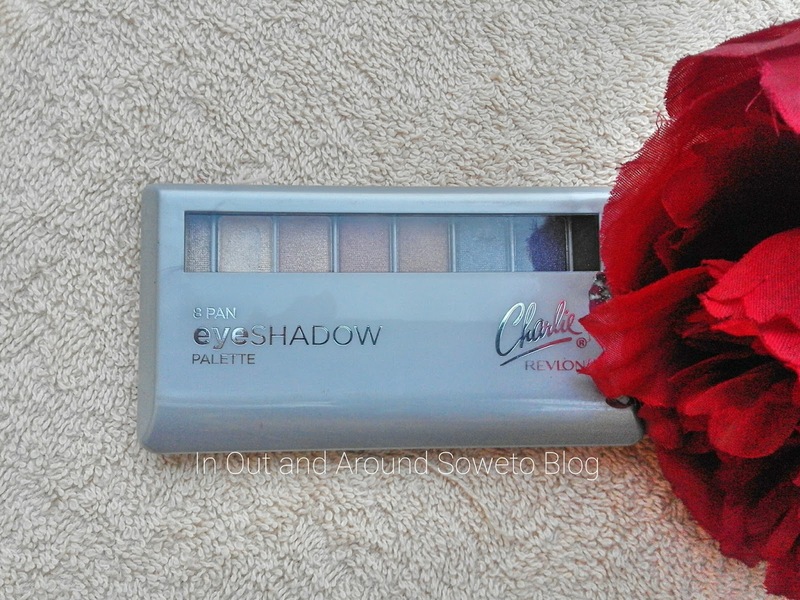 I’m reviewing the *Relvon Charlie 8 Pan Eye Shadow Palette which is priced at R120 at Clicks stores. 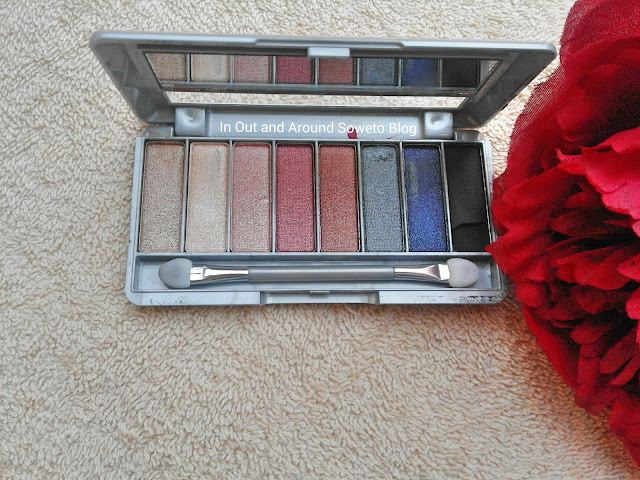 The palette comes in 8 shadows, starting from the lighter shades through until the darkest shade which is the color black. 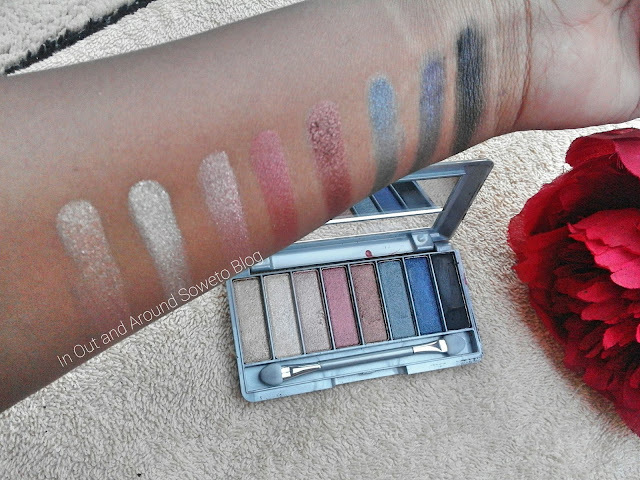 The first seven shades do shimmer/sparkle and the black shade is mate which is great because who wants to have a black smokey eye with shimmers. The first four shades have been my go to colors for Spring because who is not strobbing/highlighting these days right?! The first four shades give me that golden goddess feeling without that thick heaviness in ones eyes. You know which heaviness I’m talking about that?! 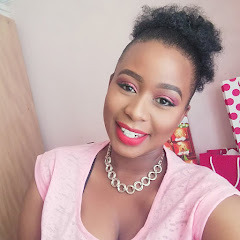 You know when you apply your eye shadows and you cannot open up you eyelids, that’s the heaviness that I’m referring too, plus they are highly pigmented which also helps because you don't need a lot of product to get great results. The shadows last long especially when you apply your eye primer. A quick tip, if you want to apply the last four darker shades it is important that you start with the lighter shades then build up to the darker shades, then you will get that perfect shadow, also the trick to getting that perfect eye shadow look is to practice practice practice. Thanks girl, You should give them a try. Will be reviewing more products from the Charlie brand so don't forget to subscribe via email. You've got a very nice blog !! I am suscribing !! Thanks girl, I really do appreciate it. Revlon's Charlie lipstick in "Pink Brown" was the first lipstick I ever wore way way back in grade 8. I am glad to see that the line is still around! Thanks for posting!